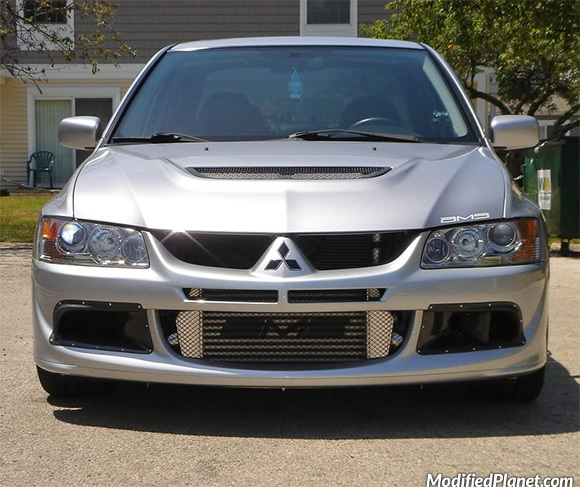 ETS Upper Intercooler Pipe installed on a modified 2005 Mitsubishi Evo 8 in Graphite Gray Pearl paint. The ETS Upper Intercooler Pipe features 2.5″ mandrel piping and its unique routing is over two feet shorter than the stock upper intercooler pipe which results in greatly improved turbo spool up. 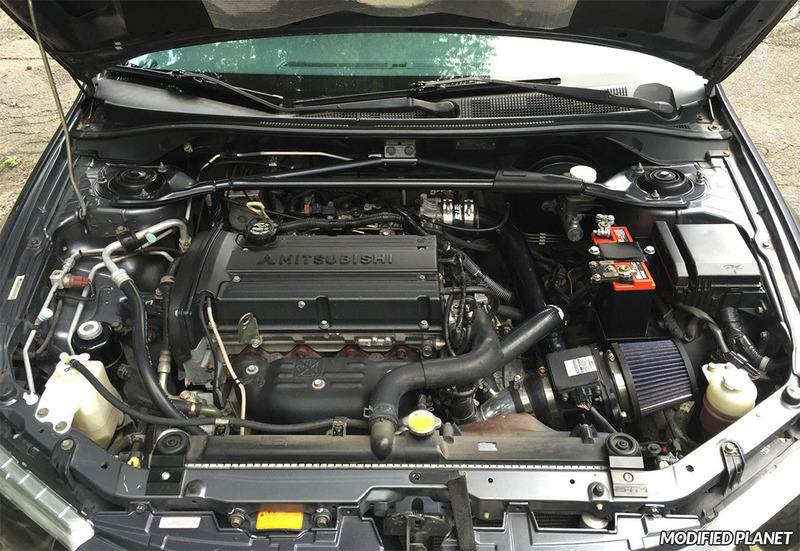 The ETS Upper Intercooler Pipe also adds 12% more air flow and saves 6.3 pounds in weight on any modified 2005 Mitsubishi Evo 8. 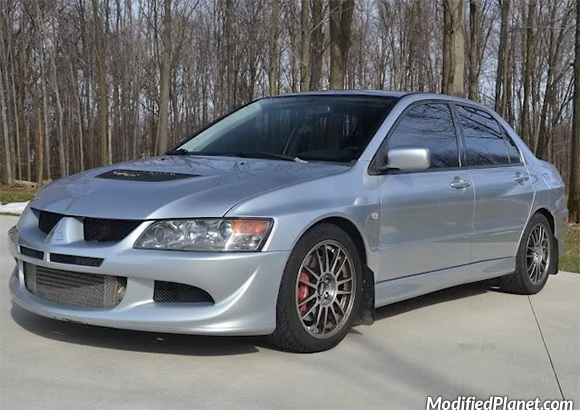 Modified 2003 Mitsubishi Evo 8 featuring a AMS Performance front mount intercooler. 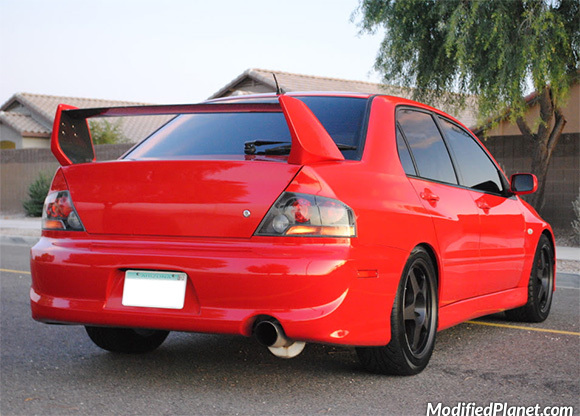 Modified 2004 Mitsubishi Evo 8 featuring JDM tail lights and an AMS Performance turbo back exhaust system. Modified 2003 Mitsubishi Evo 8 lowered on a set of Tein S-Tech lowering springs. 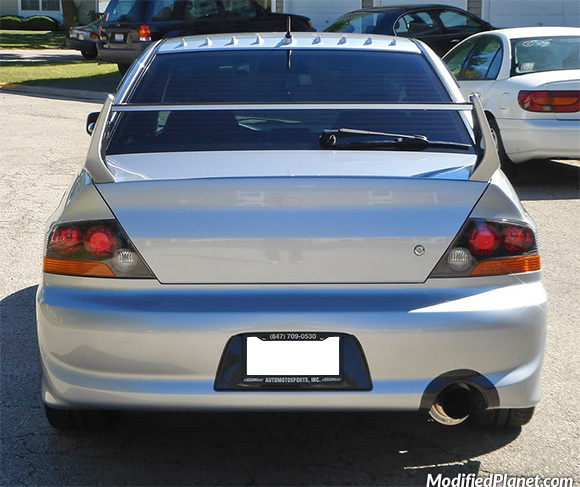 Modified 2004 Mitsubishi Evo 8 featuring an AMS front mount intercooler and Rexspeed carbon fiber bumper ducts. 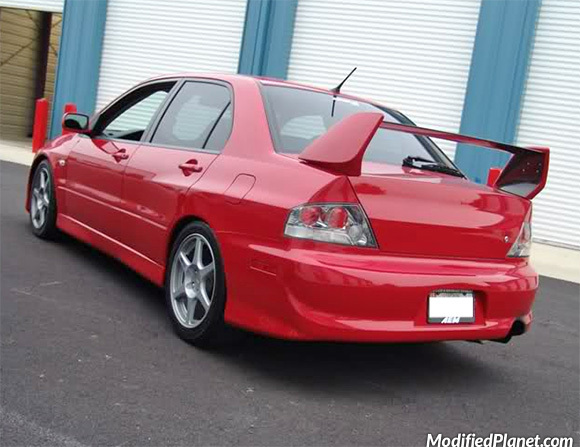 Modified 2003 Mitsubishi Evo 8 featuring JDM tail lights and a Magnaflow catback exhaust. 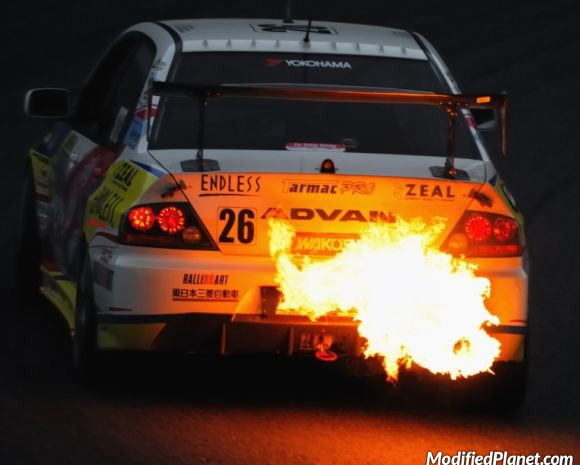 Backfire coming out of the exhaust on Advan sponsored 2003 Mitsubishi Evo 8 race car. 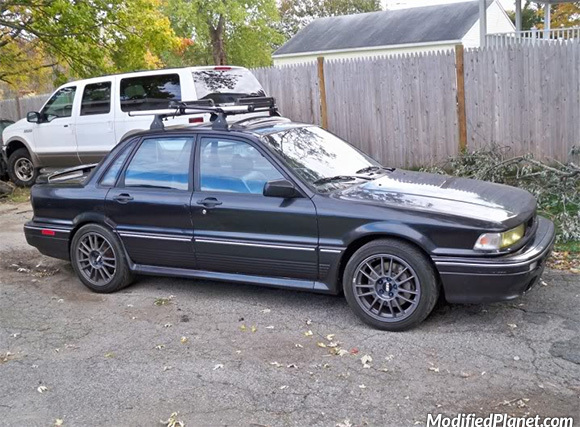 Modified 1991 Mitsubishi Galant VR4 sitting on a set of BBS wheels from a 2003 Mitsubishi Evo 8 MR.